After 20 months of successful experience with a pilot program for food trucks, the City of Knoxville’s Office of Business Support is seeking public feedback on a proposed Mobile Food Unit (MFU) ordinance. The proposed ordinance has been posted on the City’s website at knoxvilletn.gov/mobilefood. The period for public comment will run from Nov. 24 through Dec. 9. The City administration and staff will consider the comments and adjust the proposed ordinance as needed. The ordinance is scheduled to be sent to City Council for first reading on Thursday, Dec. 17. Since the City launched its Mobile Food Vendor Pilot Program in April 2014, 24 MFUs have completed the application and inspection process to operate in the City. Reduction in Permit Fee and Renewal Fee. The pilot program included a tiered permitting fee system; MFUs operating only on private property paid $200 annually, and those operating on private property and in designated zones in the public right-of-way paid $400 annually. Under the proposed ordinance, all MFUs will pay $200 annually and the renewal fee is only $50. The City believes that $200 is a fair fee that covers the costs of administering the MFU program and coordinating and monitoring the activity of MFUs within the City. Addition of Temporary Permit. Under the pilot program, any unit operating within the City had to pay the same permit fee regardless of where the vendor was based. Oftentimes, in addition to local vendors, events use vendors from outside of the City. Additionally, some local vendors desire only to operate at one or two events within the City per year. Therefore, the City is offering a temporary permit for MFUs as part of the proposed ordinance. The temporary permit costs $75, is valid for three consecutive days, and can only be used by a vendor or unit two times during the same calendar year. Vendors applying for a temporary permit must adhere to the same regulations as vendors holding a regular permit. This temporary permit allows single-time or infrequent vendors to operate their MFUs while ensuring that those MFUs are just as safe for the employees, customers, and citizens. Expansion of Allowable Zoning Districts. The pilot program allowed MFUs to operate only in commercial and form code districts. The proposed ordinance allows MFUs to operate in more districts: Commercial Districts, Industrial Districts, Office Districts, Open Space Districts, and Form Based Code Districts. The only restrictions to operation in these districts apply to property within a certain distance of residentially zoned property, but these restrictions can be waived with permission from certain property owners. The ordinance allows MFUs to operate in residential districts only as part of a special event that is sponsored by a neighborhood association, by a homeowners’ association, or by the City of Knoxville or another governmental entity (such as the Knox County Health Department or the Transportation Planning Organization). The expansion of the zoning districts gives MFUs flexibility in reaching customers, while also minimizing impacts in those areas where residents could be affected. Addition of Appeals for Permit Revocation. Similar to the pilot program, the proposed ordinance provides that a permit can be revoked if (1) an applicant obtained the Unit Permit by knowingly providing false information on the application; (2) the continuation of the vendor’s use of the Unit Permit presents a threat to public health or safety, or if the vendor otherwise presents a threat to public health or safety; or (3) the vendor or MFU violates regulations of this Article or any other City of Knoxville ordinance. The proposed ordinance provides a process by which the permit revocation can be appealed and reconsidered by a three-member board of City staff. Reduction in Insurance Policy Limits. In addition to requiring proof of other types of insurance, the pilot program required vendors to obtain commercial liability insurance with limits of $2 million with an aggregate limit of $3 million. After evaluating these limits, the City has reduced the limits to $1 million/$2 million in the proposed ordinance. These requirements are referenced in the ordinance and can be found on the MFU Permit Application. There are other, minor changes throughout the ordinance. All of these changes are a result of feedback the City received during the course of the pilot program. A composite of Knox County Superintendent Jim McIntyre's evaluations - put together by the 9-member Board of Education - paints a pretty picture of the KCS leader. Interestingly enough it leaves out a whole lot as well. As noted RIGHT HERE the board members' evaluations told two different tales - one good, one bad - of McIntyre. This one is fairly glowing and leaves out most of the negative. You can read it - RIGHT SMACK HERE. "In short, under Dr. McIntyre's tenure, and working with our excellent teachers, students have made significant academic progress, and a solid foundatin and culture of learning is in place," it notes. The report cites a number of recent achievements, including slight bumps in test scores and the graduation rates. It does note that KCS needs to remain docused on the number of third graders rading at or above proficient level. And it does say McIntyre needs to do a better job communicating with folks. The 6-page summary was put together by BOE Chairman Doug Harris. McIntyre is asking the board to extend his contract by two years during a special called meeting on Monday. My guess is that he gets it, or at least one additional year. John Ashley, who is running for County Commission to represent the Northwest Knox, Hardin Valley, and Karns areas against 6th District Commissioner Brad Anders, sent out a release on Friday. I talked to him briefly. He's a Knoxville native, married with two children. He's 36, works for a payroll company, and said he wanted to run because he doesn't think "we have proper representation for someone listening to the community." He said Brad has his own agenda and it's "time for someone to step up and listen to what the community wants." "We're being too reactive - we need someone who will make decisions and not pass on votes." In his press release, he noted a reprimand Brad received back in the summer of 2013, but then asked me not to include it to; instead, he wanted to focus on more current issues. Er, OK. Here's the rest of the release. Then this year (2015) alone two instances have come up to question the current commissioner’s decision-making abilities. Elected officials are put into office to make tough decisions on issues that are facing our county. They are elected to make those tough decisions. The rezoning proposal was dismissed before anyone could take a stance, given the opportunity I would have taken a stance to stop the rezoning. The dismissal was wrong and done without the communities input. There was no strategic plan for the placement of the proposed building to be built. I believe as a leader you step up and take your place when something is not right. More recently the Knox County E-911 Board has spent nearly $40,000 on a study that concluded the $8.9 million proposal by the Harris Corp., which was recommended by the board and a private consulting group appointed by the board. Your commissioner declined to vote because he didn’t feel the initial bidding process was “clean”. We are spending our tax dollars for a decision to be made. I think it is time we start getting some accountability and answers to these questions. What really happened in 2013? Where does the current County Commissioner stand if the rezoning issue arises again? What will he do when it comes time to vote again on the 911 communication issue and the same result is the Harris Corp. recommendation? The rezoning John mentioned was tied to the proposed land swap at Nicholas Ball Park that would have potentially led to a new Walmart. I'm not sure what he's complaining about. The deal is dead. In regards to the E-911 board vote, yeah, Brad is going to be answering that one for a long time to come. Anyhoo, send me your political/election stuff for publication consideration. Republican presidential candidate and real estate billionaire Donald Trump is running in a traditional party with what many would describe as a nontraditional campaign. Trump is scheduled to speak in Knoxville at 7tonight at the Knoxville Convention Center, but he is reportedly not using help from the county and state GOP. Ryan Haynes, the Tennessee GOP chairman, and Buddy Burkhardt, the Knox County GOP chairman, said they both found out about the event through the Internet. "I found out through Facebook, which obviously is a very non-traditional way of finding these things out," Haynes said. "A lot of the campaigns have contacted us directly when they're coming to town." Knox County Sheriff Jimmy “J.J.” Jones on Thursday addressed what he said are misleading accusations about the safety and reliability of the county's decades-old emergency radio system. Twice this year, the Knox County E-911 Board has declined to approve an almost $9 million contract that would replace E-911 communication operations. The bidding process took nine months and officials expect to restart it in January. Then, it could take another year to get something new in place. Some officials say they are upset and disappointed about the board’s failure to move on the contract. But, the area’s top cop disagrees. He says local emergency personnel and Knox County residents are safe. At issue is the E-911 Board's quest to replace the current emergency broadcasting analog radio system with a 20-channel digital one that would also meet a number of federal recommendations such as allowing multiple responding agencies, such as police, fire and medical, to communicate amongst themselves. Harris Communications won the bidding process earlier this year, but the board has declined to sign off on a contract. Jones on Monday was one of five E-911 Board members who voted against supporting Harris. Instead, he and others on the board want to hook onto the state-operated system that uses Motorola Solutions equipment – the same equipment that has served the E-911 Center for more than 25 years. “Criminals don’t know any boundaries,” he said. “If they’re breaking into your house on Alcoa Highway, it could be Blount County, Knox County or inside the city limits, so me being able to communicate with another agency, to me, is ideal and that’s where I want to go when we start talking about this again. I want to be part of a state-wide system where we can talk to any other agency when we need to, to do our jobs on a daily basis." Jones also turned over a letter from Motorola’s vice president to WBIR 10News that detailed the current system’s performance. The letter was sent to all E-911 Board members and sheds more insight into why some board members don’t appear worried about a breakdown. “The system performance is measured by a percentage of reliability. Since initial installation in the late 1980s this reliability factor has been measured at 99.99983 percent, which is higher than both the current and proposed contract require,” wrote Motorola’s VP Randy Johnson. “The system is in no eminent danger of failure,” Johnson told board members in the letter. 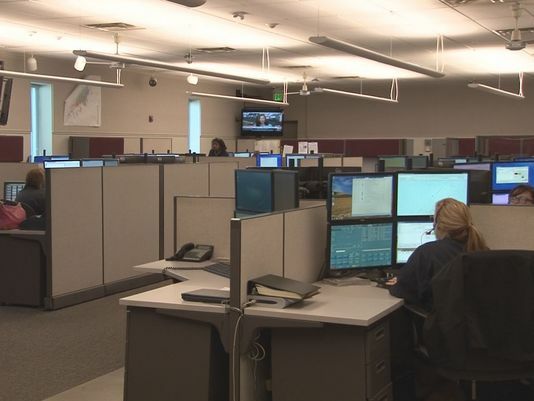 On Monday, E-911 Center officials also downplayed several cases in the past couple of months in which radio system circuit boards blew, forcing emergency dispatchers to communicate with emergency personnel via handheld radios. Again on Thursday, Jackie York, a communications unit supervisor, said it was still “business as usual” for a few hours, except dispatchers used radios rather than hand-free headsets. “It’s just the matter of doing basically the same thing in a different way,” she said. She said the overall operation also has enough back up parts, so that the “operations of Knox County continue on without interruption. “We can still talk to officers and we can still talk to the public,” she added. E-911 Board members meet again in January to discuss the re-bidding process. The Metropolitan Planning Commission on Thursday approved zoning for a proposed business park off Midway Road. The MPC is a recommending body. The proposal will now go to the Knox County Commission in December. The City of Knoxville formally closed today on the former State Supreme Court property on Henley Street, buying it from the state. The city now plans to start the bidding process for the 1.7-acre property, for commercial or residential development. City Council voted in August to purchase the property, which occupies one square block of downtown real estate, for $2.47 million. The State Supreme Court relocated to the Post Office building on Main Street in 2003. The goal is to issue an RFP in 2016, so that redevelopment of the site can begin as soon as possible. In the near term, the City will continue to operate the surface parking lot adjacent to the State Supreme Court building. The Public Building Authority will oversee the lot, which will be open for paid parking during weekdays and free parking after 6 p.m. weekdays and all day on weekends. The Office of Redevelopment is also planning next steps for City-owned properties on West Jackson Avenue between Broadway and Gay Street, which include the sites of the former McClung Warehouses. Last month, City Council approved an application for a brownfield cleanup grant for those properties from the U.S. Environmental Protection Agency. The goal is to get the properties ready for redevelopment. The timeline on issuing a Request for Proposals for the Jackson Avenue properties is dependent on several other factors. The state Department of Transportation will be closing a section of Broadway between Jackson and Depot avenues in the near future for the complete reconstruction of the Broadway Viaduct. TDOT will be using part of the Jackson Avenue properties as a staging and storage area. Meanwhile, the City is moving forward with streetscape work on West Jackson, and the aging Jackson Avenue ramps at the Gay Street intersection are scheduled for upcoming reconstruction as well. The bidding process to build two Knox County middle schools – one in the Gibbs community and the other in the Hardin Valley area – has begun. The county late Tuesday night posted its “request for proposals” on its purchasing department website. Developers have until Dec. 15 to submit their bids. 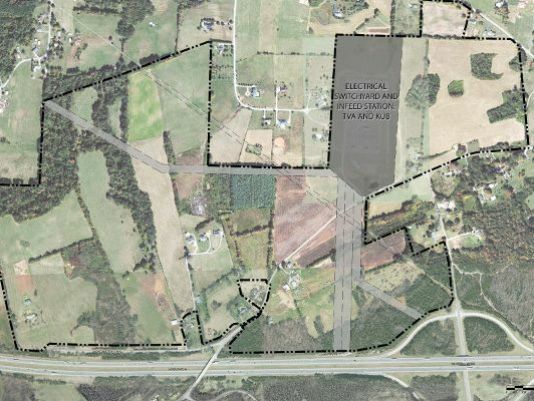 The county wants the developer to build a school for 1,200 students in Hardin Valley, at the north corner of Conner Creek; and a school for 800 students on the property just west of the Gibbs Elementary School on Tazewell Pike. Crews will be installing new interior and exterior lighting to the Henley Street pedestrian bridge next week. The night-time work will require temporary lane closures next week on Henley Street and closure of the pedestrian bridge from 6 p.m. to 6 a.m., beginning the evening, Nov. 16. The bridge and lanes will reopen early Nov. 21. The work is part of a $2.7 million infrastructure upgrade that is improving the experience of pedestrians approaching World’s Fair Park and the Knoxville Convention Center from two sides. 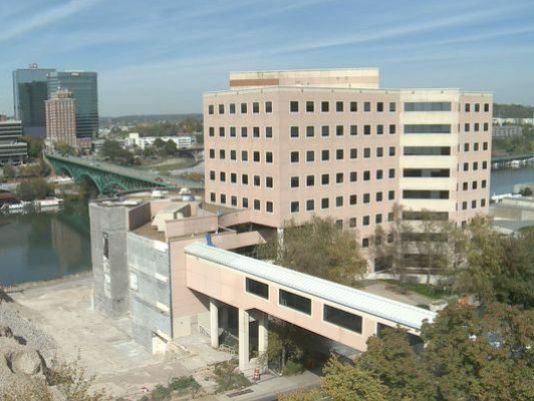 The project also will better connect Fort Sanders, World’s Fair Park and downtown while providing covered access from area hotels and parking garages to the Knoxville Convention Center. The first phase – improving the area from University of Tennessee Conference Center to World’s Fair Park Drive at the Candy Factory – will be completed by the end of this year. A prominent piece of the Phase I work is the pedestrian bridge improvements. The renovated Henley Street pedestrian bridge, first constructed for the 1982 World’s Fair and then modified in the 1990s during the construction of the Knoxville Convention Center, now features a frosted glass roof. Perforated stylized metal panels replaced the original metal cage fencing. Also part of the Phase I work: The Clinch Avenue Viaduct over World’s Fair Park is getting a new look with Streetscape additions. Bicycle lanes were added on both sides, benches were added, and the viaduct will be landscaped. In early 2016, Johnson & Galyon will begin working on Phase 2, which includes installing a new canopy at the intersection of Locust Street and Clinch Avenue and a new canopy over the sidewalk next to the Hilton garage. Veterans Day is today, a day set aside to honor America's veterans for their patriotism, love of country, and willingness to serve and sacrifice for the common good. A number of area businesses are offering free or discounted food and services to veterans to say thanks. In most cases, a military ID or proof of service may be required. Please check out WBIR 10News throughout the day for more coverage of Veterans Day. Frank’s Barber Shop- Free haircut. Call ahead. Great Clips- Free haircut for military and veterans. Non-veterans can get a coupon to give to a veteran. Coupon is valid until the end of the year. Legend's Custom Cuts in Maryville- Free haircut for veterans with an ID. Studio Visage- Free haircuts with Studio Level stylists. Knoxville Veterans Day Parade- Begins at 10:45 a.m. on Gay Street honoring veterans of U.S. armed forces. We will stream the parade on WBIR.com, 10News2, and MeTV. 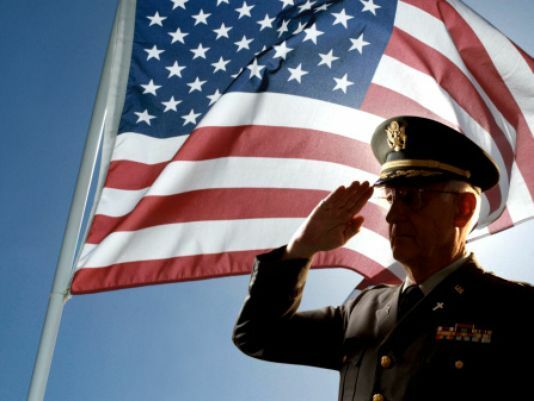 Dixie Stampede Pigeon Forge- Sevier County Hospitality Associations salute America’s Heroes with a complimentary lunch on Thursday from 11:00 a.m. -1:00 p.m. Cost is $15 for members, $20 for non-members and walk-ins. Pigeon Forge’s 25th Annual Winterfest Kickoff- Salute to Veterans Parade begins at 4:00 p.m. on the parkway. Tennessee State Parks is offering one free night of camping and/or a complimentary round of golf with appropriate identification. Veterans and active military are always eligible for camping discounts in state parks. Applebee’s- Free meal from special menu. Beverage and gratuity not included. Calhoun’s- Free meal from complete menu starting at 11 a.m.
Carrabba’s- Free appetizer of your choice. Chili’s- Free meal all day from select menu. Golden Corral- Free meal from 5:00 p.m. - 9:00 p.m.
IHOP- Free red, white and blue pancakes from 7:00 a.m. -7:00 p.m.
Little Ceasar’s Pizza- Free pizza or $5 HOT-N-READY- Lunch Combo between 11:00 a.m.- 2:00 p.m.
LongHorn Steakhouse- Complimentary “Texas Tonion” and non-alcoholic beverage. Menchie’s- Free 6 oz. frozen yogurt. O’Charley’s- Monday only veterans receive a $9.99 regular priced meal from a select menu featuring six entrées. Olive Garden- Free entrée from select menu with soup and salad with proof of service and a 10 percent discount for families. Outback Steakhouse- Free “Bloomin’ Onion” and a non-alcoholic beverage. Also receive 15 percent off your purchase from Nov. 12- Dec. 31, 2015. Perkin’s Restaurant and Bakeries- Free “Magnificent Seven” meal, beverage not included. Red Lobster- Free appetizer and dessert from select menus. Red Robin- Free “Tavern Double” burger with “Bottomless Steak Fries” as well personally signed “Thank You” cards from the staff. Shoney’s- Free “All American Burger”. Starbucks- Free tall brewed coffee for active duty, veterans, and their spouses. Texas Roadhouse- Free lunch from special menu from 11:00 a.m. - 4:00 p.m. dine-in only. TGI Friday’s- Free lunch from select menu from 11:00 a.m. – 2:00 p.m. 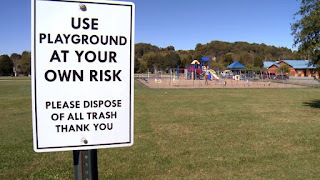 If you saw our critical investigation in 2014 on lagging school playground safety standards, Knox County Schools has made a lot of positive progress in the last year. We followed up with a trip to several schools and found improvements. 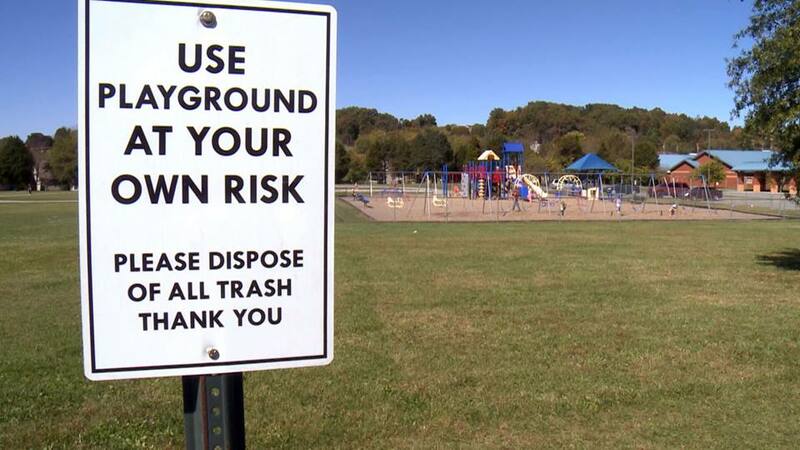 As we said last year, there are lots of things schools should do that are already done at most public parks. It's good to see KCS responded to the report by making some changes for the better. A proposed plan to build a Walmart Neighborhood Market on a piece of Nicholas Ball Park is dead after Knox County withdrew its request to rezone a portion of the land. The county, under the plan would, swap an 8-acre piece of the park in exchange for a 100-acre piece of land in Hardin Valley. 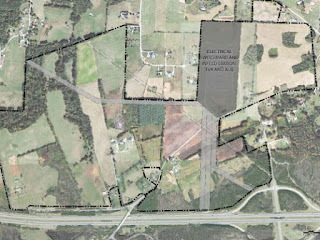 Gusto Development would then need the property rezoned from agricultural to general business. 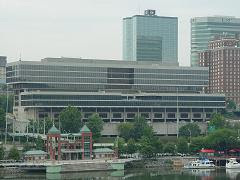 The Knoxville-Knox County Metropolitan Planning Commission was set to talk about the proposal this month, but officials agreed to postpone the discussion until early next year as they sought more input from the West Knox County neighborhoods. Instead, the county withdrew its petition to the MPC on Thursday, Grider said. The plan would have cut out two of Ball Park’s soccer fields and a parking area. 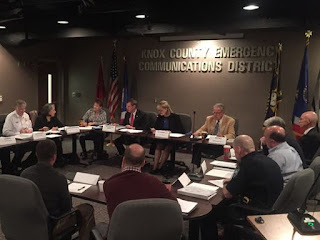 The Knox County E-911 Board on Monday declined to sign off on an almost $9 million contract to replace the county's antiquated emergency radio system. Again. The 11-member board voted 5-5. Panel member Brad Anders, who is also a Knox County commissioner, declined to vote, saying he didn't feel the initial bidding process was "clean." Now, the board is expected to start the whole process over when it meets again in January. At issue was months of debate that started when a selection committee picked Harris Communications and then the board refused to award the company an almost $9 million contract. Instead, a number of members suggested the county should stick with Motorola Solutions, which has served the E-911 Center for more than 25 years. Then members started talking about joining a state-operated system. The board in mid-September agreed to pay Blue Wing almost $40,000 to determine the best direction to take the system. The review concluded that the state option is at least $934,467 more costly during the course of the systems’ 11-year life cycles. Further, the report noted, the county would not charge a radio system user fee of $28 per radio, per month, under the state system. The lost revenue during the lifecycle adds up to almost $2 million. Officials with Motorola Solutions - the equipment the state system uses - disputed much of the findings and said Harris actually would cost more money. In a handout provided to board members, Motorola questioned why the county wouldn't charge a user fee, and suggested that the Blue Wing report was tainted because it used "incorrect data and left out additional costs." In the end, the vote to hire Harris failed. Board members Knox County Mayor Tim Burchett, E-911 Board Chairwoman Linda Murawski, Knoxville Police Chief David Rausch, Knoxville Mayor Madeline Rogero, and Knoxville Fire Chief Stan Sharp voted in favor of the proposal. Board members Ken Knight, Russell Frazier, Bill Cole, Sheriff Jimmy "J.J." Jones and Daron Long voted against Harris. Jones, an advocate of joining the state system, said it is "the wave of the future," and that "if we do this standalone it seems to me we're an island in the middle of the ocean." He also said he didn't want "a blue light special." "These men and women are putting their lives on the line every day," he added. Shortly after the vote, the board quickly adjourned without talking about the next step. Members, though, said they expect some discussion during the next meeting, which is in January. At that point, the board will probably restart the bidding process, Burchett said. "We'll follow the process and that end result is what we'll have," he said. Anders, who declined to vote, said he was concerned that prior to the bidding process, E-911 Center Executive Director Bob Coker met with Harris officials to talk about sole sourcing the project. He questioned the transparency of such a move. He wants what he called a "clean" process the next time. Republican candidate Ben Carson has the current presidential field’s best numbers among Tennessee voters, although the biggest slice of the state’s electorate remains undecided, the latest statewide Middle Tennessee State University poll shows. The field’s remaining candidates posted in the lower single digits. 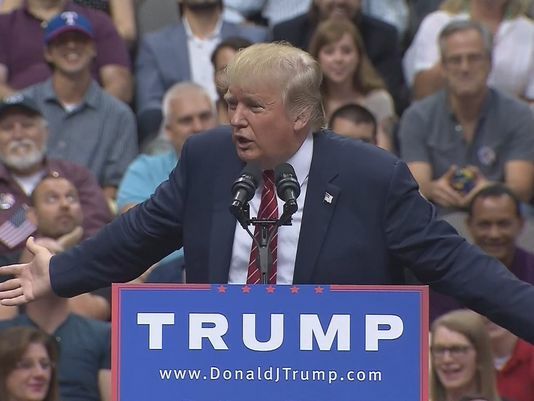 “Carson is leading his closest Republican rival, businessman Donald Trump, by a significant margin, and both Carson and Trump have better favorability ratings than Democratic frontrunner Hillary Clinton,” said Jason Reineke, associate director of the statewide poll at Middle Tennessee State University. Carson and Trump both surpassed Clinton in follow-up questions separately gauging support for each candidate becoming president, with 51 percent supporting Carson, 35 percent for Trump, and 25 percent for Clinton. The poll randomly surveyed 603 registered voters statewide Oct. 25-27 and has a margin of error of 4 percentage points. A retired neurosurgeon who has risen to GOP frontrunner in recent weeks, Carson was the top choice among self-identified Republicans, with 33 percent of responses, followed by “Don’t know” with 29 percent and Trump with 22 percent. Clinton led among Democrats, with 44 percent naming her, followed by “Don’t know” with 25 percent and Sanders with 16 percent. Among independents who did not identify with either of the two major political parties, the most frequent response was “Don’t know” (38 percent.) Carson was the choice of 16 percent of independents, while Clinton and Trump were named by 12 percent each. Support for Carson surged, though, among independents who identified as ideologically conservative, with 25 percent of these respondents picking him. Trump garnered 15 percent of this group, while 33 percent were undecided. Margins of error are larger for subgroups of respondents like political partisans. Carson was the only candidate who remained in positive territory in “net favorability” — +28 — when the percentages opposing or strongly opposing his presidency were subtracted from the percentages favoring or strongly favoring his presidency. On the Democratic side, Clinton had the lowest net favorability score of all candidates at -37, while Sanders was comparable at -33. But favorability deficits were not limited to Democratic candidates. Among the Republicans, former Florida Gov. Jeb Bush scored -26; Trump came in at -12, U.S. Sen. Ted Cruz scored a comparable -11, while fellow U.S. Sen. Marco Rubio scored -7 points. Some respondents did not give an opinion one way or the other, or refused to answer the question. Reineke added that it’s also important to note that voters in Tennessee are more decided about some candidates than others. “People are more opinionated about candidates like Clinton and Trump — 89 and 82 percent have an opinion about them one way or the other, respectively,” Reineke noted. Interviews for the poll were conducted by Issues & Answers Network Inc., which completed 603 telephone surveys among a random sample of registered Tennessee voters aged 18 and over. Data was collected using Tennessee statewide voter registration sample with a mix of 60 percent landline and 40 percent cell phones. The average interview length was nine minutes. The survey’s margin of error is +/- 4 for the entire sample percentage points, meaning that we are 95 percent confident that the actual result lies within 4 percentage points (in either direction) of the result our sample produced. Subgroups have wider margins of error. Thanks to MTSU for the release. There will be more coming out next week about other topics tied to the presidential races. 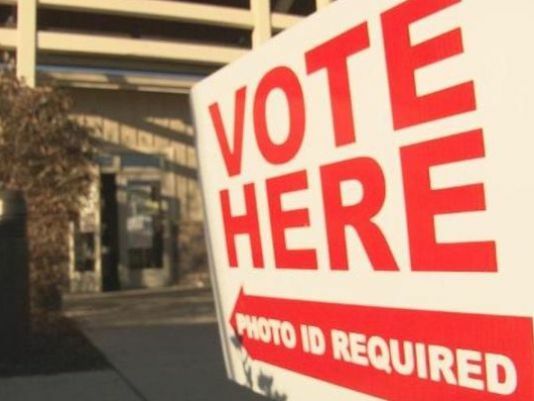 The Knox County Election Commission is seeking poll workers to help run three elections next year. The commission will host five orientations in mid-November for those interested. The county has 85 precincts in 71 polling places and will require hundreds of trained officials, Rodgers added. The elections will be held March 1, Aug. 4 and Nov. 8. Rodgers said he expects turnout for the November election, which will include the presidential race, to approach 200,000 voters. Those interested in helping will be paid for working on the election days and taking the training classes. Workers can earn $10 or $15 an hour for training, depending on the nature of it, but they are not paid for the orientation class; $10 an hour for early voting ($15 an hour for officers); $15 an hour for nursing home work; and on election day, $135 for workers and $175 for officers. Officers, who earn slightly more, must have "sufficient experience," Rodgers said.There are no unpaid volunteers. For more information or to sign up for one of the orientation sessions, please call Brian Hall at the Election Commission at 215-2480. Knox County Schools Superintendent Jim McIntyre has turned in his performance self-evaluation, and it's quite glowing. But, I mean, what do you expect? It's not like he's going to criticize himself. Still, he just couldn't help taking a shot at "one or two" school board members. Heh. We broke it down/summarized the self-evaluation RIGHT HERE, but you can read the entire 8-page memo RIGHT HERE. On the surface, McIntyre has a lot to stand on. The school system has earned a number of accolades during the past year and the graduation rate is up, albeit slightly. Anyhoo, the school board in the coming weeks or months or whenever will talk more about the evaluation and members will give their input. It will certainly be interesting as McIntyre claims that "district leadership is carefully listening to and supporting our teachers and staff . . . ."
Proposed Knox County Schools’ policy that would let the Board of Education have input and review the dismissal of nontenured teachers continues to remain at an impasse. The school board on Wednesday again couldn’t come to an agreement about what revisions – if any – it would like to put into the policy. Members are expected to talk more about the matter in the coming months. The board has spent months looking to resolve objections to the way KCS handles renewals of non-tenured teachers, going back and forth on the language and what they want in the policy and what they don’t want in it. The discussions come as dozens of teachers voiced concerns about the non-renewal process on their contracts. Currently, if a teacher is not tenured, the superintendent can choose to not renew a contract without reason. Teachers are concerned the process on their contract is not clear, and some have called it unfair. They also have argued that termination of one job – without explanation – is often career-ending. On Wednesday, the board shot down some proposed revisions in a 5-3 vote. Board members Patti Bounds, Amber Rountree Karen Carson, Gloria Deathridge and Mike McMillan voted against the revised policy. Members Doug Harris, Lynne Fugate and Terry Hill voted for it. Tracie Sanger was absent. “Some of the revisions were brought to us late in the day and they could possible create new problems and I don’t think they addressed the problems in the past,” said school board member Patti Bounds. For example, she said, a key sticking point for a number of board members was that language – initially proposed – that would allow board members to affirm dismissals was removed. Bounds said she wants the board to have the chance to review any nontenured teacher dismissals and to have a chance to either affirm or deny them. Also, if the board voted for no renewal, she wants teachers to have the option to appeal such a decision. “I feel it’s another checks and balances that needs to be in place,” she said. Board member Amber Rountree agreed. "I didn't feel like the policy as presented didn’t really restore any decision-making powers to the board," she said. Every year, according to district officials, between 30 and 50 – or about 1 percent – of all non-tenured teachers are non-renewed. This year, 45 teachers were non-renewed. Last year, that number was 55. Carson said she’d rather officials look at procedure rather than policy. 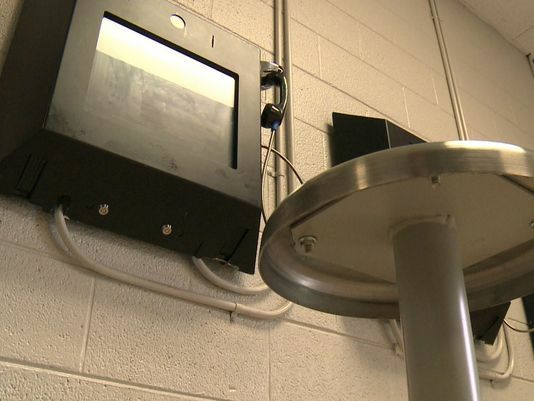 A Texas-based security company is negotiating to take over the high-tech communications system that monitors inmates at the Knox County Detention Facility. The county and Securus Technologies are ironing out a contract for the firm to oversee the jail’s inmate phone and video network and inmate management structure that tracks prisoners from intake and processing when they enter the jail to their release. 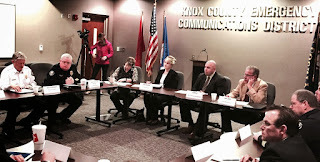 The matter is on the Knox County Commission’s agenda to discuss Monday, although officials said it might be deferred at least another month as officials on both sides work out the details. All of it is part of an effort by the Knox County Sheriff’s Office to upgrade its technology and better manage the 1,200 or so inmates in the county’s three holding facilities, particularly the main jail on Maloneyville Road. The electronics also reduce paperwork and maintain up-to-date records on the inmates. Gone are the old Hollywood images of an outdated jail that serves only bread and water and allows for just one phone call. In recent years, the Sheriff’s Office has upgraded its services, and the jails now feature electronic touch-screen kiosks and tablets that inmates can use to video-conference with family, order food, schedule haircuts, electronically manage their money, and handle medical services. The software also tracks inmates and records their purchases and just how much money they have in an account. The services are currently overseen by Pay-Tel Communications and Tech Friends Inc, on a month-to-month basis, since the contracts expired earlier this year. Long-time Knox County Audit Committee Chairman Joe Carcello, who led the panel as it looked into a series of financial scandals, has resigned. Carcello, who served as chairman of the 5-member committee since its inception, said his resignation is effective immediately. The County Commission, on Monday, will talk about replacing him during its monthly work session. “He’s done an exceptionally focused job, helping us to make sure we can do things as best we can,” he added. 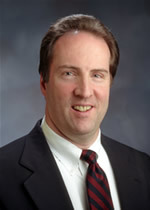 Carcello, an accounting professor at the University of Tennessee since 1992, became the department head, Ernst & Young, and business alumni professor in the Department of Accounting and Information Management, Haslam College of Business at UT in January 2014. He also serves as a member of the Securities and Exchange Commission’s investor advisory committee. In his resignation letter, he said those duties "coupled with all of my other faculty responsibilities, has me working 6-7 days every week and late into the evening on most nights." Knoxville City Council incumbents easily held on to their seats Tuesday night, with each winning by wide margins in the regular city election, unofficial results show. Final results were posted by the Knox County Election Commission by about 9:05 p.m.
Finbarr Saunders, who faced three opponents during the September primary,defeated Paul Bonovich, garnering about 69 percent of all votes cast for an at-large seat, according to the final, unofficial results. Marshall Stair beat Pete Drew with a 79 percent to 21 percent margin for an at-large seat, and Mark Campen beat Jennifer Mirtes 68 percent to 32 percent for the 5th District seat, returns showed. At-large council member George C. Wallace was unopposed Tuesday. The City Council races are non-partisan. 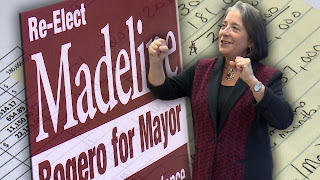 Madeline Rogero needed about $6,800 in campaign cash when she successfully unseated then-2nd District Knox County Commissioner Jesse Cawood in 1990. More than two decades later, she’d end of spending 70 times that amount to win the city’s mayoral seat. When her current term is up in four years, local experts expect that race to cost even more. It’s a trend, they said, and one that isn’t going away. Ashe knows a thing or two about raising money. As a state representative and state senator in the 1970s and 1980s, he routinely brought in $30,000 to $40,000 per campaign. But it wasn’t until 1987 when he decided to run for mayor that he truly needed the big bucks: at least $350,000. Mark O’Gorman, a political science professor at Maryville College, agreed. Experts note that each race is different and the amount raised is tied to the number of candidates and just how much effort those running put into the race. 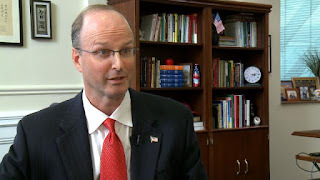 Those who spoke with WBIR 10News said there is no average amount or threshold per contest that someone seeking office needs to hit, and that money is certainly no guarantee to win. But, they said it’s getting more and more expensive to seek office, even in smaller contests like school board seats. Apparently a woman who operates a consignment and antique business on property owned by Knox County Mayor Tim Burchett does not have a certificate of occupancy. The matter was pointed out by rogue blogger Brian Hornback yesterday RIGHT HERE. County Communications Director Michael “the bicycle rider” Grider told me that since it was brought to their attention, officials in the administration have talked to the operator, Angela Taylor, and she’s now aware that she needs a certificate and is working to get one. 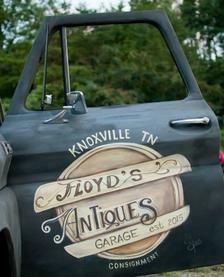 The business is called Floyd’s Garage, which coincidentally (or not) is Burchett’s middle name. It’s located on a chunk of property at 3019 SE Amherst Road, which the mayor has owned for more than a decade. Burchett, according to Grider, is not affiliated with the business. According to the operation’s WEBSITE, Floyd’s Garage opened an eBay store in early 2014, and then the warehouse this past May. “Our team of experienced and qualified staff, have been working many years collecting, buying, and selling car parts, motorcycle parts, antique toys, vintage furniture, antique glassware, and now have high quality interior furnishings – both new and old, large and small,” the website states. Floyd's Garage is open on Fridays from 8 a.m. to 4 p.m. and Saturdays from 8 a.m. to 8 p.m.
Knox County Schools will celebrate what officials are calling "another successful Knox County Schools Coupon Book campaign" during an appreciation luncheon 11:30 a.m. Thursday at the Sarah Simpson Professional Development Center (801 Tipton Avenue), according to a news release. Officials at that time will announce the to-date sales totals, recognize top-selling schools and students, identify corporate sponsors and thank coordinators for a successful 2015 campaign. The 2015 campaign goal was 160,000 books sold, which would net more than $1.4 million for classroom needs across the county. MORE: For a list of locations to buy a KCS Coupon Book. The Original Knox County Schools Coupon Book provides funds to meet school needs identified by parents, teachers and school administrators and benefits every student in the Knox County Schools. In its 27th year, the coupon book still costs only $10.00. Of this, schools keep $8.00 from each book they sell; $0.70 support schools with greater economic need, and $0.13 from each book fund the purchase of e-book subscriptions for all Knox County Schools’ libraries. During the 2014 campaign, students sold 158,557 coupon books, raising just over $1.4 million for the schools. Since 1989, almost 4 million coupon books have been sold to raise more than $30 million for students in the Knox County Schools. The Knox County Schools Coupon Book now is available for purchase at select retail locations on the attached document. 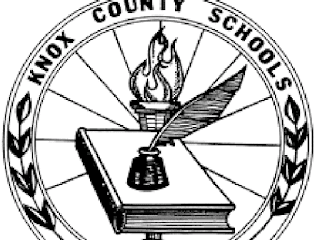 For more information about the Original Knox County Schools Coupon Book, visit knoxschools.org. Knox County election officials say they expect “a less than robust” turnout Tuesday, so they’re encouraging residents to get out and vote. At this point, Rodgers said officials are predicting about a 3 percent to 4 percent turnout. During the two weeks of early voting leading up to Tuesday’s contests, only 2,065 people cast ballots. That’s not exactly surprising, though, since there’s only a handful of Knoxville City Council races up for grabs. The way the city’s charter is written, city residents can vote in each race even if they don’t live in the district. That rule applies only to regular elections and not the primary. The election commission set up 39 voting locations throughout the city, and residents can vote only at their specific precinct, unlike early voting. Rodgers said if voters are not sure where to cast ballots, they can find precinct locations at http://knoxcounty.org/election/ or call 865-215-2480. He also said that some precincts are in the local schools, which will be open Tuesday. He said parking could be tight in the morning and afternoon when students are arriving and leaving school. The city set aside $260,000 to cover its primary and regular election, although it’s not expected to cost that much. An independent consulting firm has suggested that hooking onto the Tennessee Valley Regional Communications System could end up costing Knox County roughly $3 million more than if the county bought its own digital radio system. Instead, the firm recommended, the city and county should hire Harris Communications, the company that initially won the rights to oversee the system during a bidding process conducted earlier this year. The firm, Pennsylvania-based Blue Wing, Inc., turned over its 80-page report to the county on Friday. The Knox County E-911 Board will discuss the findings during its Nov. 9 meeting. Anyhoo, a lot of folks are saying that the list came from Anonymous, but I don't think that's the case. Anonymous has said they are going to release the names of 1,000 KKK members on Nov. 5. This isn't that list. It doesn't help, however, that Anonymous has linked to it on its Facebook page. Anyway, here's our story RIGHT SMACK HERE. Personally, it's sad that we have to report it, but if we didn't there would be that vocal minority claiming the "liberal media" is protecting Rogero. Yeah, whatever. Plus Rogero, herself, got out in front of it and released a statement. It's actually pretty funny. Again, click on the link about for the story. "Fred once said that the experiences he had growing up in small-town Tennessee formed the prism through which he viewed the world and shaped the way he dealt with life," his family said. 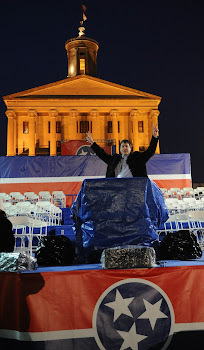 "Fred stood on principle and common sense, and had a deep love for and connection with the people across Tennessee whom he had the privilege to serve in the United States Senate. He enjoyed a hearty laugh, a strong handshake, a good cigar, and a healthy dose of humility. Fred was the same man on the floor of the Senate, the movie studio, or the town square of Lawrenceburg, his home." Our story at WBIR: RIGHT HERE. An independent consultant has recommended that the city and county hire Harris Communications to manage the area’s emergency radio system rather than hook onto the state program – marking the second time the company has received the go-ahead. The Knox County E-911 Board in mid-September agreed to pay Pennsylvania-based Blue Wing Inc. almost $40,000 to determine the best direction to take the system. The report, which was not immediately available, was submitted to the county’s purchasing department Friday. “The next step is that Blue Wing will present their findings to the full board and we’ll be there to answer questions to the board about the findings,” said Knox County Purchasing Director Hugh Holt, who declined to comment further. The board meets at 8:30 a.m. on Nov. 9. The move comes after months of debate that started when a selection committee picked Harris Communications and then the board refused to award the company a $9 million contract. Then members started talking about joining a state-operated system, so in April they sought out a consultant to determine if that was the right course. The problem? The company officials picked wanted additional work and roughly $225,000 more than the center was ready to provide. So, back to the drawing board, and last month Blue Wing Inc. was picked out of eight companies that submitted proposals.